Bob Barefoot Coral Calcium information and research finds that some cancers have been linked to Calcium deficiency. In 1932 Otto Warburg won the Nobel Prize in Medicine for his discovery that cancer was anaerobic: cancer occurs in the absence of free oxygen. As innocuous as this discovery might seem, it is actually a startling and significant finding worthy of a Nobel Prize. What it basically means is that cancer is caused by a lack of free oxygen in the body and therefore, whatever causes this to occur is the cause of all cancers. In chemistry, alkali solutions (pH over 7.0) tend to absorb oxygen, while acids (pH under 7.0) tend to expel oxygen. For example, a mild alkali can absorb over 100 times as much oxygen as a mild acid. Therefore, when the body becomes acidic by dropping below pH 7.0 (note: all body fluids, except for stomach and urine, are supposed to be mildly alkaline at pH 7.4), oxygen is driven out of the body thereby, according to Nobel Prize winner Otto Warburg, inducing cancer. Stomach fluids must remain acidic to digest food and urine must remain acidic to remove wastes from the body. Blood is the exception. Blood must always remain at an alkaline pH 7.4 so that it can retain its oxygen. When adequate mineral consumption is in the diet, the blood is supplied the crucial minerals required to maintain an alkaline pH of 7.4. However when insufficient mineral consumption is in the diet, the body is forced to rob Peter (other body fluids) to pay Paul (the blood). In doing so, it removes crucial minerals, such as calcium, from the saliva, spinal fluids, kidneys, liver, etc., in order to maintain the blood at pH 7.4. This causes the de-mineralized fluids and organs to become acidic and therefore anaerobic, thus inducing not only cancer, but a host of other degenerative diseases, such as heart disease, diabetes, arthritis, lupus, etc..
Everyone knows that the human body is made up of 78% water by weight, and that water is hydrogen and oxygen gases. When nitrogen gas and carbon in the form of carbon dioxide and methane gases are added, the total gas in the body by weight becomes over 95%. Almost half of the remaining 5% that makes up the human body and controls all biological functions is the mineral calcium. No other mineral is capable of performing as many biological functions as is calcium. Calcium is involved in almost every biological function. This amazing mineral provides the electrical energy for the heart to beat and for all muscle movement. It is the calcium ion that is responsible for feeding every cell. It does this by latching on to seven nutrient molecules and one water molecule and pulls them through the nutrient channel. It then detaches its load and returns to repeat the process. Another important biological job for calcium is DNA replication, which is crucial for maintaining youth and a healthy body. DNA replication is the basis for all body repair and can only occur on a substrate of calcium. Thus, low calcium means low body repair and premature aging. As important as all these and hundreds of other biological functions of calcium are to human health, none is more important than the job of pH control. Calcium to acid, is like water to a fire. Calcium quickly destroys oxygen robbing acid in the body fluids. Thus, the more calcium, the more oxygen, and therefore, the less cancer and other degenerative disease. This information then begs the question, “How much calcium is necessary?” The answer can readily be determined by examining the diet of millions of people around the world who consume over 100 times our Recommended Daily Allowance, RDA, and who suffer the side effects of living 40 years longer than we do, of aging at half the rate that we do, and of being devoid of cancer, heart disease, mental disorders, diabetes, arthritis and all other degenerative diseases. Almost all of these people, the Armenians, Azerbaijans and Georgians in Russian, the Tibetans, the Hunzas of Northern Pakistan, the Vilcabamba Indians in Ecuador, the Bamas in China and the Titicacas in Peru live at high altitudes above 8000 feet. Their only source of water is melting glaciers, and the glacial water is so turbid and white with ground up rock that all of these cultures call the water “milk of the mountains”. Each quart of this water contains over 17,000 milligrams of calcium along with other minerals and 60 trace metals. These cultures drink several quarts each day and the water fertilized crops are also loaded with calcium and other nutrients. The only long living and disease free culture that does not live above an altitude of 8000 feet, is the Okinawans. Millions of Okinawans live in the southern coral islands of Japan with the average life expectancy of 105 years, while mainland Japan is just 77 years. 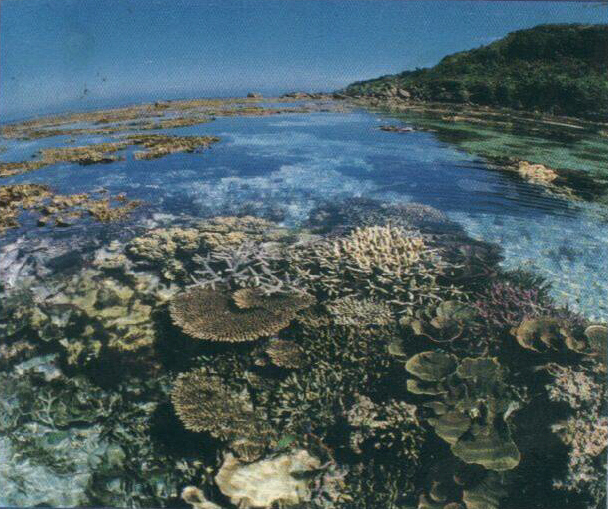 The Okinawans live on islands made of coral reefs which are mainly calcium. The Okinawans discovered over 500 years ago, that feeding coral sand, produced from the weathering of the reefs, to the chickens and cows resulted in twice as many eggs and twice as much milk. 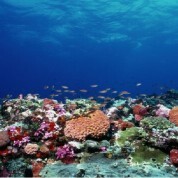 They also found that when the coral sand is used as a fertilizer, crops increase by as much as three fold. When finally, 500 years ago, they began to consume the coral sand themselves, all of the under-utilized doctors were forced to leave the islands. This was known in Japanese history as the Japanese Exodus. The early European explorers discovered their secret and hauled shiploads of the calcium rich coral sands back to Europe. In Madrid, Spain, the historic monument of the world’s first drugstore contains rows of shelves labeled “coral calcium from Okinawa Japan”. Today millions of people all over the world consume coral calcium, and as a result, there are millions of medical testimonials. The phenomenon of preventing and reversing degenerative disease through the consumption of large amounts of mineral and vitamins did not go un-noticed by men of medicine. Hundreds of years ago European doctors were prescribing coral calcium and other nutrients to their patients. In the 1950s, Dr. Carl Reich, M.D. discovered that his patients were able to cure themselves of almost all degenerative diseases by consuming several times the RDA of calcium, magnesium, vitamin-D and other nutrients. Dr. Reich was the first North American doctor to prescribe mega doses of minerals and vitamins to his patients and is considered by many to be the father of preventive medicine. By the 1980s, Dr. Reich had cured thousands, but lost his license for explaining that the consumption of mineral nutrients, such as calcium, could prevent cancer and a host of other diseases. This concept was considered too simple to accept by the medical wisdom of the day. However, by the late 1990s, other medical men of wisdom were also discovering that calcium supplements could indeed reverse cancer. In the October 13, 1998 issue of the New York Times, an article appeared entitled “Calcium Takes Its Place As a Superstar of Nutrients”. The article reported that a study published in the Journal of the American Medical Association declared that “increasing calcium induced normal development of the epithelia cells and might also prevent cancer in such organs as the breast, prostate and pancreas”. It also reported that the American Journal of Clinical Nutritionpublished that virtually no major organ system escapes calcium’s influence and that a research team from the University of Southern California found that adding calcium to the diet lowered the blood pressure in 110 black teenagers. The January 14, 1999 issue of the Phoenix Republic wrote in an article entitled “Calcium Reduces Tumors” that the New England Journal of Medicine reported that adding calcium to the diet can keep you from getting tumors in your large intestine. Then the February, 1999 issue of the Readers Digest wrote in an article entitled “The ‘Superstar’ Nutrient” that the Journal of the American Medical Association published that “when the participants’ consumption reached 1500 milligrams of calcium a day, cell growth in the colon improved toward normal (this means that the cancer was reversed)”. The Digest also reported that the Metabolic Bone Center at St. Luke’s Hospital believes that “a chronic deficiency of calcium is largely responsible for premenstrual syndrome (PMS)” and that “a lot of women are avoiding the sun and their vitamin-D levels may be very low”. In the same article, the Digest reported that “in 1997 the large federally financed trial found that a diet containing 1200 milligrams of calcium significantly lowered blood pressure in adults”. Then the May 3, 1999 edition of US World News Report wrote in an article entitled“Calcium’s Powerful Mysterious Ways” that “Researchers are increasingly finding that the humble mineral calcium plays a major role in warding off major illnesses from high blood pressure to colon cancer” and that “You name the disease, and calcium is beginning to have a place there” (David McCarron, a nephrologist at Oregon Health Sciences University). Unfortunately, most doctors have not heard the news that their own journals and major newspapers and magazines are reporting that natural supplements, especially calcium, . . .
Scientific evidence that calcium is the key to good and long health is overwhelming. One does not have to be a rocket scientist to read simple articles in reputable newspapers, magazines and the doctor’s own journals that are all saying that disease can be cured by diet. Also one can simply look at the millions of people around the world that never get sick and say, “We also want to drink some milk of the mountains”. Unfortunately, all of the milk of the mountains is consumed as fast as it is produced. However, the Japanese could cure the world with their “milk of the oceans” known as coral calcium, the calcium factor of good health. The most frequent question asked the author is, “What do you do?” The response always begins with, “I have not taken a pill in over 30 years. Psychologically, taking pills is synonymous with taking drugs. Also, many people have difficulty swallowing pills. For most, many of the pills remain intact as they pass through the intestine undigested. The obvious solution is to do what the author does. First, the author puts all of the non-liquid nutrient pills and capsules into a blender to make a pulverized blend. He then uses a flour sifter to remove the broken up oversized capsule containers. The author takes 24 pills and capsules each day, and he has found that when pulverized, the blend fills a heaping teaspoon. Thus the author pulverizes a three-month portion and puts it into a large bottle labeled“Hunza Powder” and then takes a heaping spoonful each day. Secondly, the nutrient blend should be taken at meal times. For the elderly, this is the only time that they have sufficient acid in their stomachs to digest food. Thirdly, one glass of milk or one glass of apple juice should be taken with each meal so that the lactates or malates will keep the digested nutrients ionized even as they pass through the alkali duodenum, thereby allowing for greater absorption. Also, the consumption of fruits and vegetables with meals provides anions. The second most frequent question asked is, “Which are the 24 pills that you take?” The answer is 3 coral calcium (1.5 grams), 2 vitamin-D (5000 IU each), 6 multivitamins (one-a-day), 6 multi-minerals (containing 60 trace minerals), 3 calcium (citrate), 1 magnesium citrate, 2 vitamin-C (60 mg each), 1 vitamin-E (500mg), and 10 milligrams cesium chloride. The result is Hunza Powder. The author takes a heaping teaspoon each day, usually mixed in a fruit slush or a banana shake. Robert Barefoot is the author of the books, “The Calcium Factor” and “Death By Diet“. These books are in their fourth edition, have been translated into several languages and are used by many in the nutrition industry as “the bibles of nutrition”. Barefoot is about to release his latest book, “Let’s Cure Humanity”, which basically tells his story. We believe in Bob Barefoot Coral Calcium research and knowledge, and these books intergrate scientific knowledge provided by some of the world’s most renowned scientists, and brings it together into one cohesive scientific argument that demonstrates that nutritional deficiency is the cause of disease and that, by correcting the deficiency, disease can also be cured, not only prevented. and to order the audio tapes phone 866-923-3721.